This smart square rustic wood framed clock has contrasting mesh detail which will look perfect in an industrial natural setting. 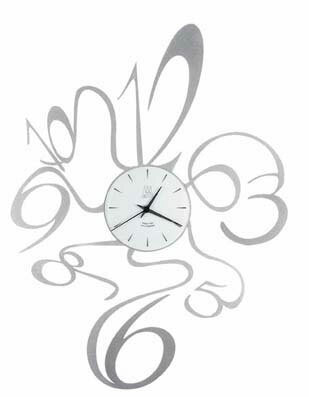 The large roman numerals are an added feature and make this clock easy to read and the perfect time piece for any wall. It is a very large 80x80cm (32x32").